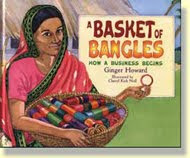 Microfinance is the provision of financial services to low-income clients who traditionally lack access to banking. Organizations like Kiva and the Grameen Bank believe it's a vital weapon in the war against poverty. But how do we help kids grasp the concept? 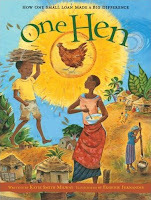 Here are five books that introduce children to the impact of microfinance (full disclosure: one is mine). A young girl's dream of attending school in her small Ugandan village is fulfilled after her family is given an income-producing goat. 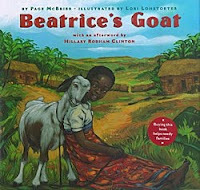 Based on a true story about the work of Project Heifer. Naima is a talented painter of traditional alpana patterns, which Bangladeshi women and girls paint on their houses for special celebrations. 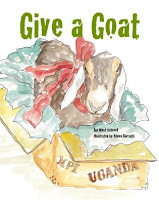 When Naima's rash effort to help to raise money puts her family deeper in debt, she draws on her resourceful nature and her talents to save the day. 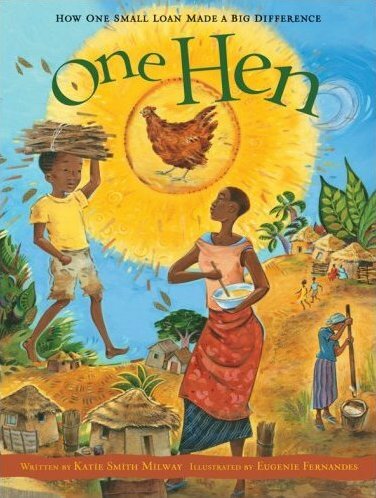 A Ghanaian boy buys a chicken through a community loan program, which eventually helps lift him, his mother, and his community out of poverty.